I’d encourage you to read an excellent post on “Are You StriDing or StriVing?” by Susan Mazza on her blog “Random Acts of Leadership“. Much has been written about flow and being in the present moment. I have read a ton of it, searching for keys to experiencing more flow in my life and work. I can work so hard at times that I exhaust myself in the process. There have also been too many times in my life when I have worked like crazy and not been particularly satisfied with the outcome or the journey. Does this sound familar? You don’t fall a lot: You have fun, take it easy, discover the ins and outs and don’t fall a lot because you’re not trying all that hard. You fall a little more often: You become aware of how little you know, how much others can do, the fact that certain obstacles are outside your capacity to clear, and when trying anything new stiffen your body and mind. You fall a lot: You are aware of your own capabilities and limits, but the fact that you are focused on testing these limits makes you go over the edge, resulting in more falls. Your mind is focused, but still over thinking how to approach each obstacle. Many people never progress beyond this stage. You don’t fall at all. The trail is a river, you are the water flowing over it. Your mind wanders in appreciation of the woods, the smells, the light, the blur of leaves underneath you, your own breathing. With continued practice it gets easier to recognize the onset of flow, and to maintain this state. Being an authentic leader has much in common with achieving stage 4 in your life and work: On our way there it is helpful to remember that one cannot get there without first passing through stages 1-2, and therefore falling a lot! Thanks for the shout out Juergen! I hadn’t heard of the 5th stage…makes perfect sense. Thank you both so much for your insightful commentary! The concept around moving beyond unconscious competence is such an interesting thought, and Robyn I gravitate to where you are going with this, as opposed to David Baum’s 5th stage “Reflective Competence“, which to me has the limitation of still being very personal. What you seem to be suggesting is a global awareness that supersedes the self, an evolution of human consciousness (Into the second tier memes beyond the “green”, for Spiral Dynamics buffs among us). And at the best of times, in a state of flow, I think one feels connected to a power far beyond the self. Great example you give of moving to unconscious competence. I’ve been wondering… Whilst performing at a level of unconscious competence works for us at many levels: neurologically and physically to protect us from stimulus overload and help us to do things efficiently, and it serves, as you indicate above, to help us enjoy the “ride”, it seems there is a higher level we are becoming conscious of. Globally, we are awakening from the complacency that comes hand in hand with being in autopilot performing in a perfunctory way, living our lives in in a state of unconscious competence. To wit the turmoil in our global economy. Into 21st century, we have a magnificent fusion of science, technology, psychospirituality shifting just about all of our paradigms, how we work and play together. Perhaps it is time to move beyond unconscious competence. What do we call it when we want to live in full consciousness: being awake as to who we really are, and to our fullest potential so we can live the fullest of lives? This is a really great model Juergen. This idea that you actually fall more often as you get closer to unconscious competence is very empowering. 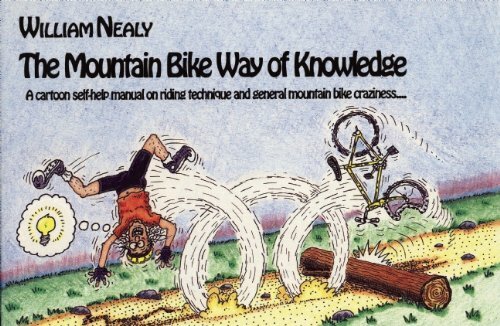 I am a skier so can totally relate to the analogy with mountain biking. You bring up a really important aspect of the distinction of striving vs. striding. I think when we are striving we often have no room for falling down – we can interpret it as failing rather than learning. When we are striding we recognize that to stumble and fall is just part of the journey and the process of learning so we can more readily take it in stride. This is the kind of interaction that makes blogging so worthwhile and enjoyable for me. Thank you so much for engaging and contributing. I look forward to many more conversations with you!